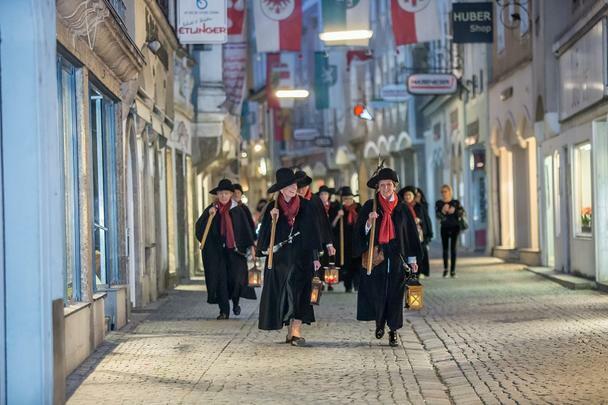 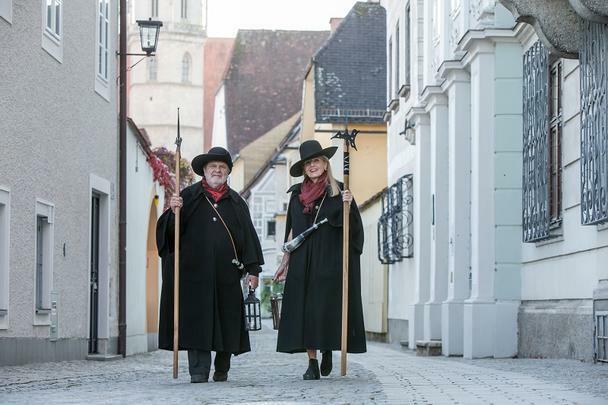 Culinary walk with the Steyr night watchmen to surprise destinations. 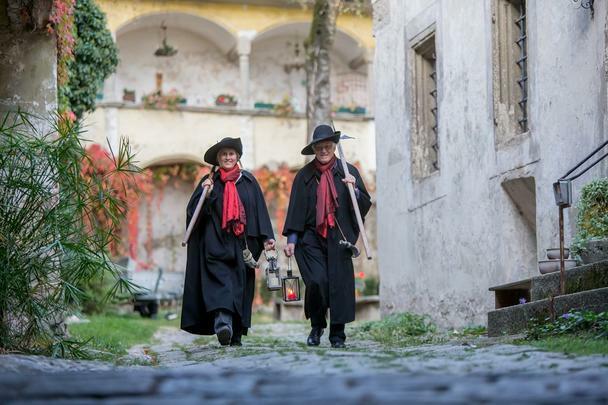 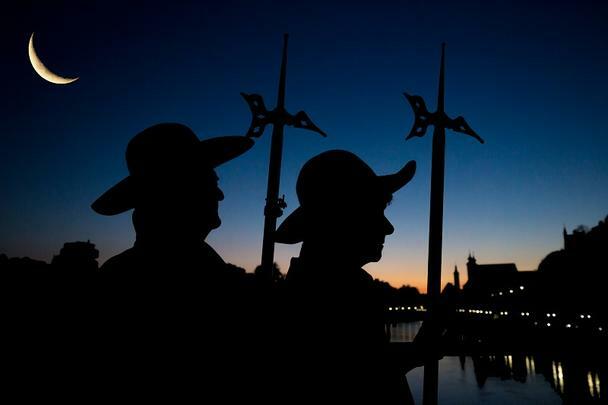 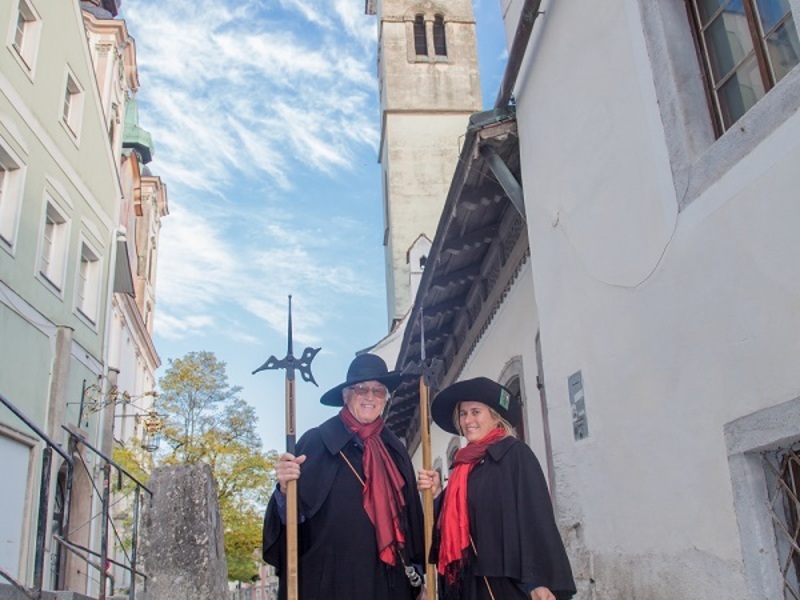 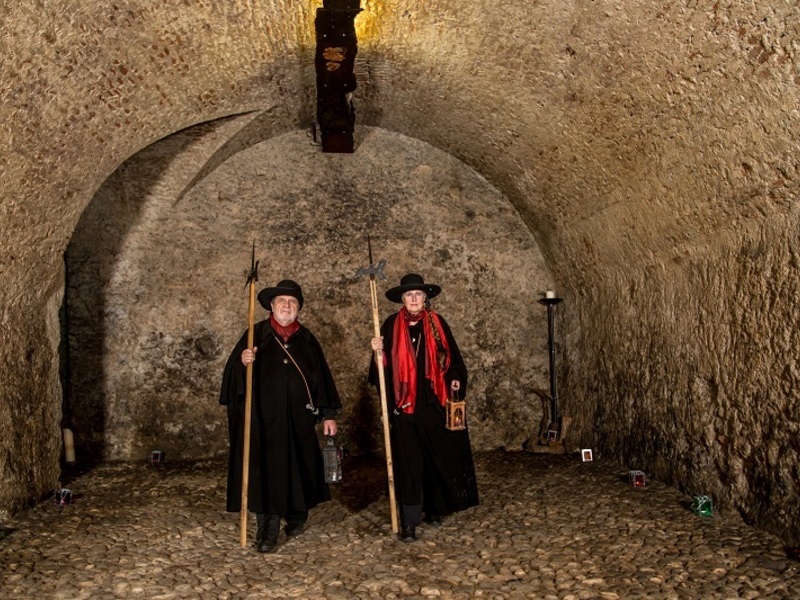 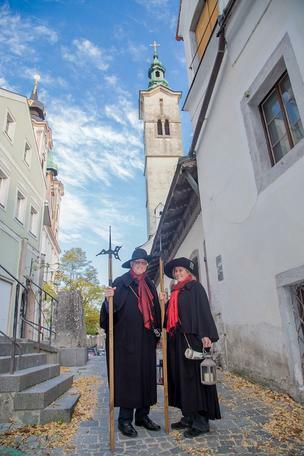 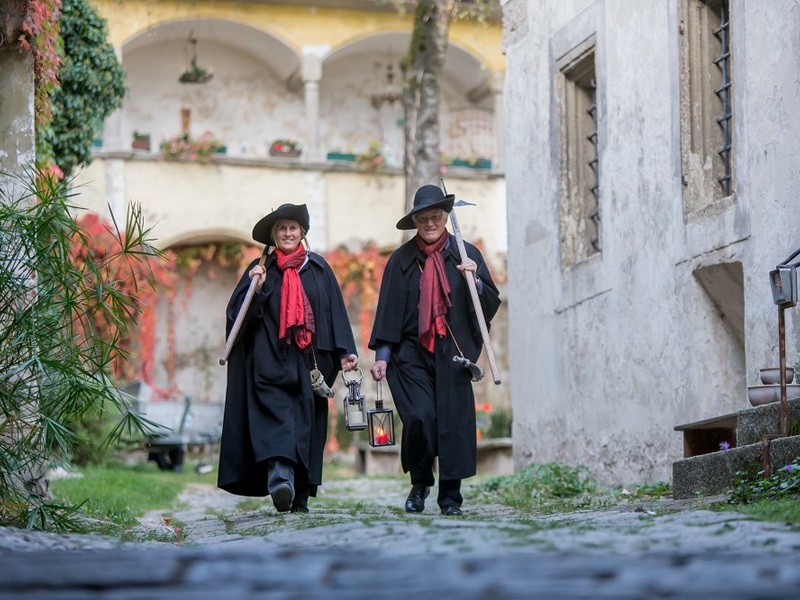 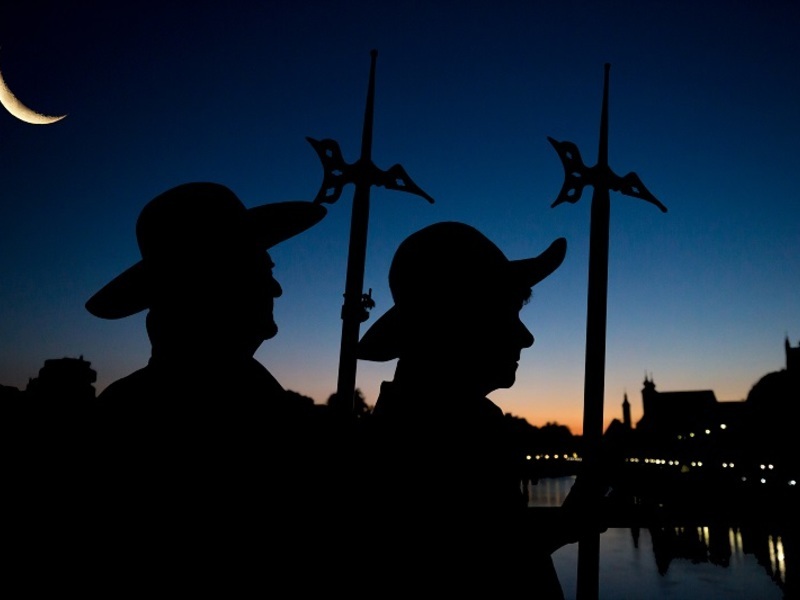 Two night watchmen in traditional clothing carrying a halberd and lantern await the guests at the nightwatchman restaurant, singing the famous Austrian night watchman song ”Alle meine liabn Herrn und Frauen, lasst Euch sagn:...”. 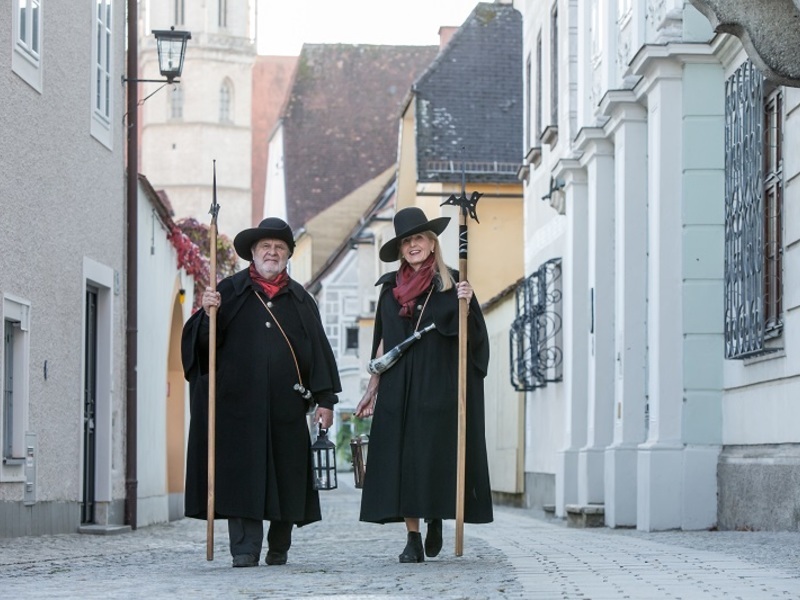 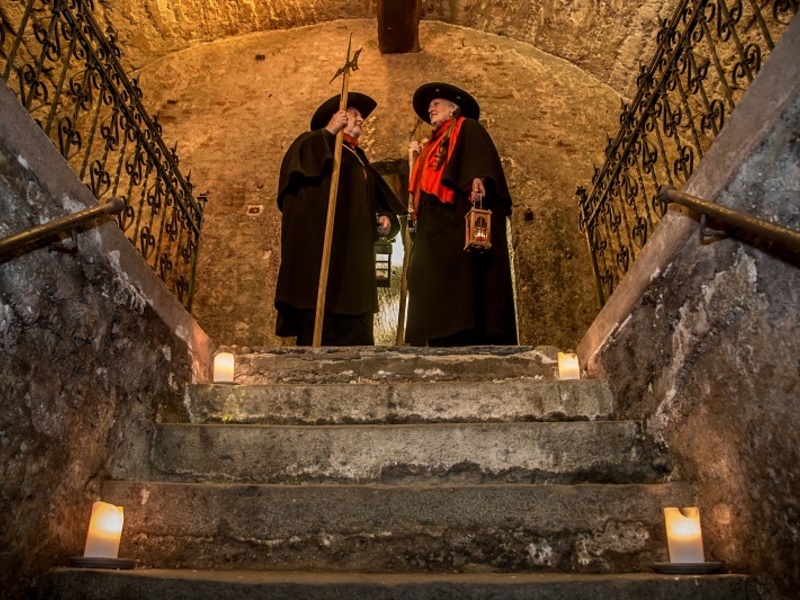 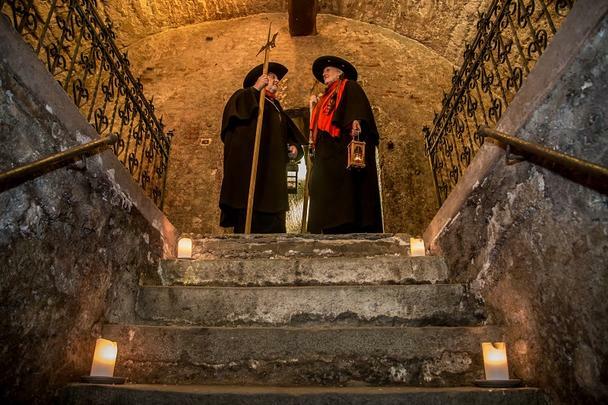 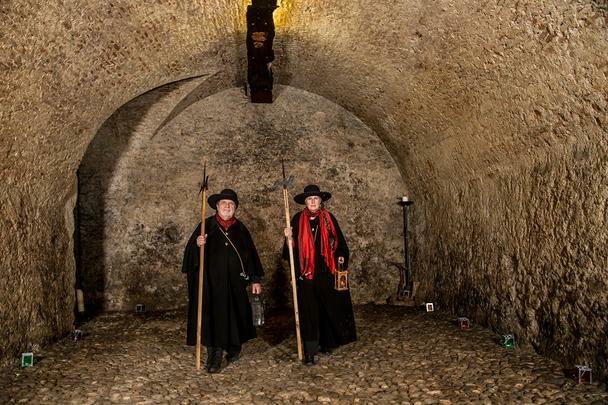 They accompany the group on the night watchman Dinearound through the eventful past of the medieval Romantic Town of Steyr. 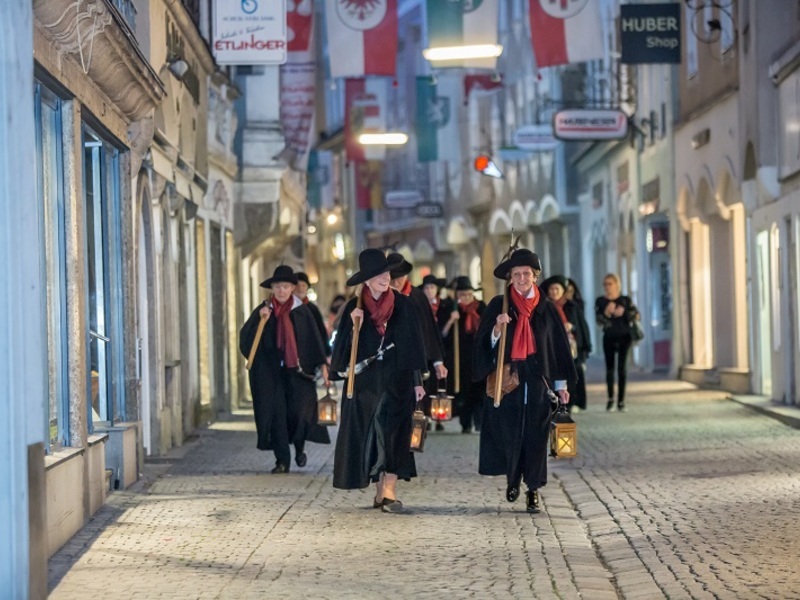 Presentation of medieval craftsmen’s scenes by the oldest still performing stick puppet theatre (since 1850), 455 puppets, Steyr dialect, duration approx. 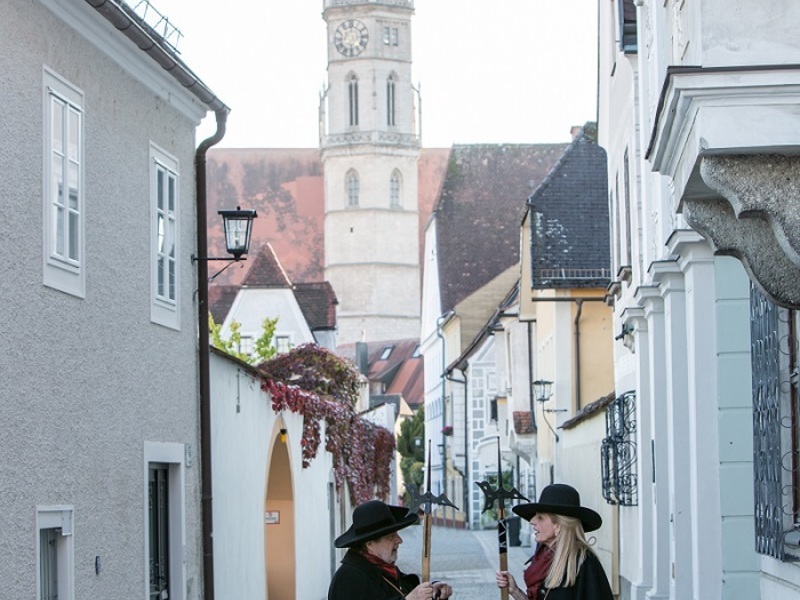 10 min. 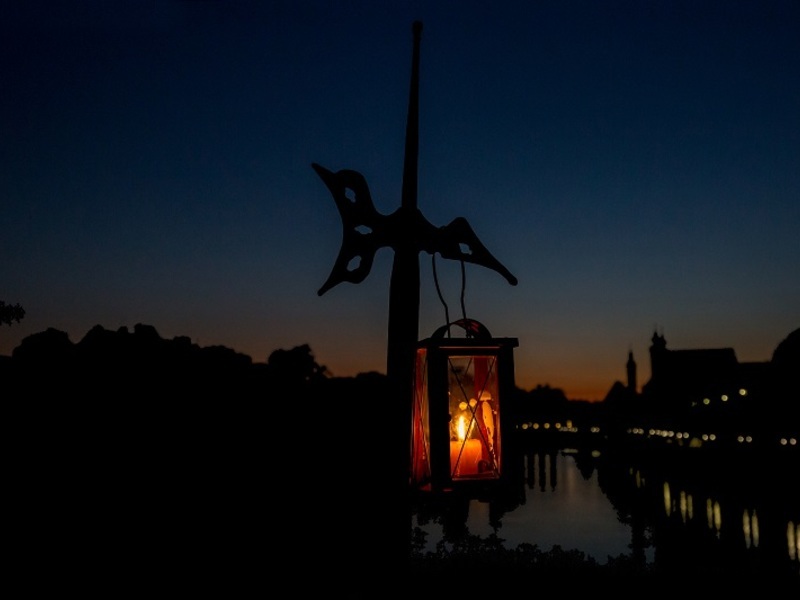 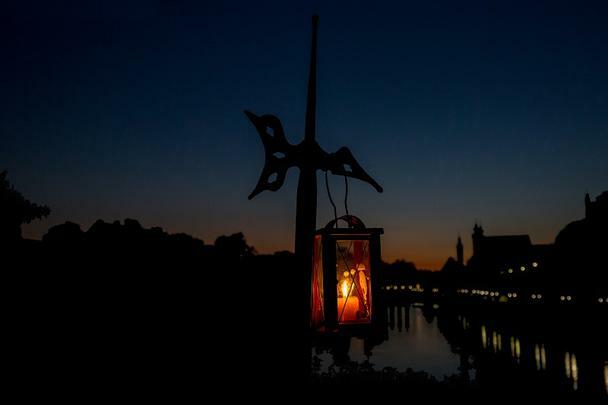 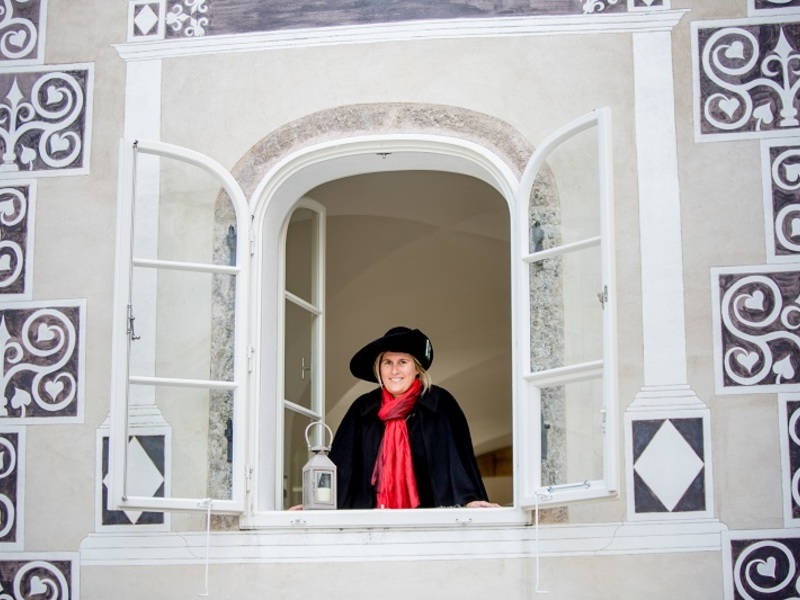 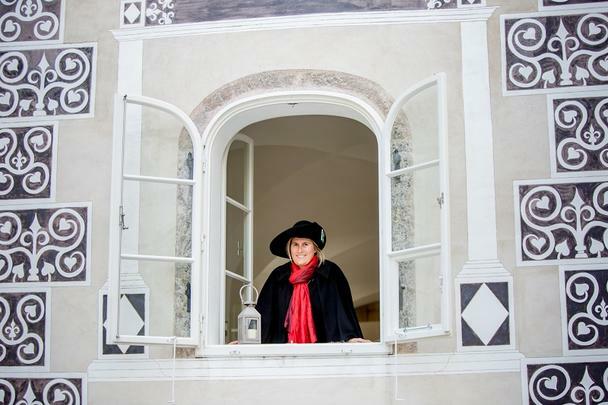 or at the Dunklhof 60 white lanterns will illuminate the courtyard and the 16th century arcade walk, romantic 15th century townsman’s home, if the weather is bad: Michaelerkeller only.